While being continuous, the soils display a great diversity from one side of the estate to the other. This diversity is our wealth. The vineyard can be divided in 3 parts: a central plateau which soil is composed of clay and limestone, the gravels being situated 1 metre deep; then on each side of this plateau, the gravelly slopes enjoy an optimal exposure. 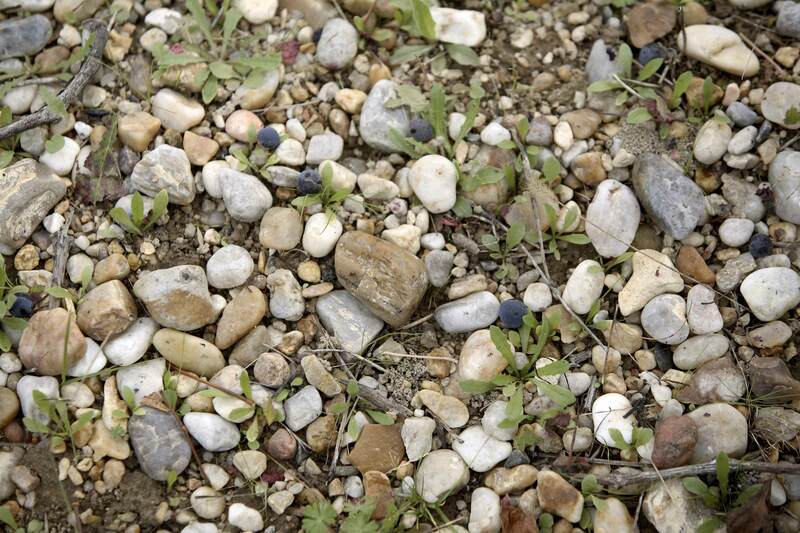 These gravelly soils, proper to the Graves de Vayres, are clayey, deep and generous. Our gravels, coming down from the Massif Central and carried by the Dordogne river, have this double characteristic of being both draining and nutritive thanks to their association with the clay. In order to get the best out of this terroir, our vineyard is mostly composed of Cabernet Sauvignon (50 per cent) for the red and rosé wines. These Cabernets, just as the Cabernets Francs (10 per cent), can reach an optimal phenolic ripeness on our slopes. The Merlot (40 per cent) for its part, is situated on the plateau, a less constraining and more adapted soil. As for our whites, they are produced from Sauvignon Blanc (80 per cent), spread out for the most part over the coolest soils of the estate so as to exalt its fruit aromas (citrus fruits). The Muscadelle and the Sémillon (20 per cent) form an ideal complement in the clayey soils nearer the Dordogne.